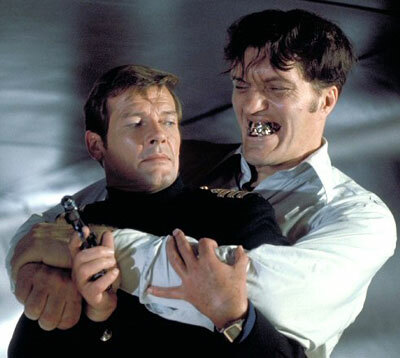 PICK OF THE WEEK May 6 The Spy Who Loved Me Joslyn Art Museum, 2200 Dodge St. 7 p.m., $20 (available at Hy-Vee food stores’ customer service counters) 402.932.7200, omahafilmevent.com The James Bond film franchise is epic enough to have camps divided among fans of the early movies starring Sean Connery, the mid-range ones featuring Roger Moore and the later incarnations with Pierce Brosnan and, now, Daniel Craig. Ooops, forgot Timothy Dalton. Omaha film presenter Bruce Crawford is sure to find enough devotees of Moore and the 1977 Bond flick, The Spy Who Loved Me, to fill the seats for a one-night screener raising funds for the Nebraska Kidney Association. Adding a movie-movie feel to the event will be a guest appearance by the film’s villain, Richard Kiel, who portrayed the menacing giant “Jaws.” It may not be great or classic cinema, but it’s sure to be a shaken, not stirred evening.